Two people died in a small plane crash near the Chesapeake Bay Bridge in Queen Anne’s County Tuesday afternoon. WASHINGTON — Two people died in a small plane crash near the Chesapeake Bay Bridge in Queen Anne’s County Tuesday afternoon. A man and woman died as a result of the single-engine plane crash that happened at about 12:45 p.m., said Maryland State Police spokesman Cpl. DaVaughn Parker. 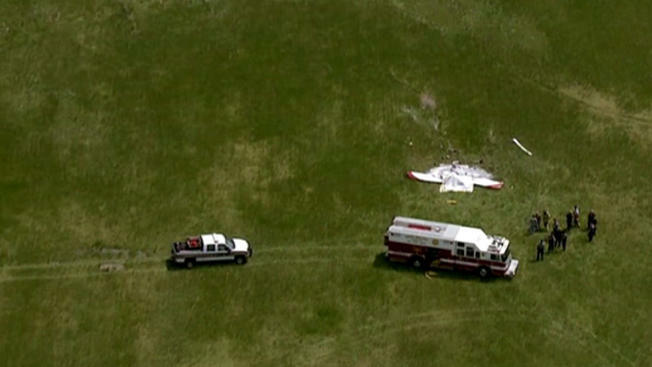 The preliminary investigation indicates the crash occurred in an open field near the Ellendale Manor community in Stevensville, Maryland. Police have not released the names of the deceased nor who was piloting the plane when it crashed. It is not yet clear if the plane was landing or taking off from the nearby Bay Bridge Airport at the time of the crash, Parker said. The red and white Van’s Aircraft RV-12, which had been rented from Delaware, exploded into flames when it made contact with the ground, Parker added. Kent Island Volunteer fire crews extinguished the flames. The cause of the crash is not yet known and will be investigated and determined by federal authorities. The National Transportation Safety Board and the Federal Aviation Administration are investigating the crash. The Bay Bridge Airport serves mostly general aviation, not scheduled passenger airlines.